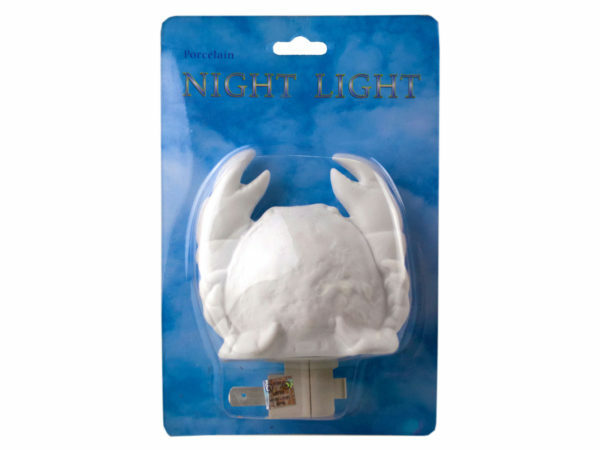 Ideal for bathrooms, bedrooms, nurseries, kitchens, hallways and more, these White Porcelain Night Light comes in assorted designs. Great for a themed room or to add a subtle decor at home while illuminating dark corners. Size varies. Comes packaged in a blister pack.